Popdose Song Premiere: Matthew Ryan, "(I Just Died) Like an Aviator"
Matthew Ryan’s new song is called “(I Just Died) Like an Aviator” — hear from Matthew what that means exactly. 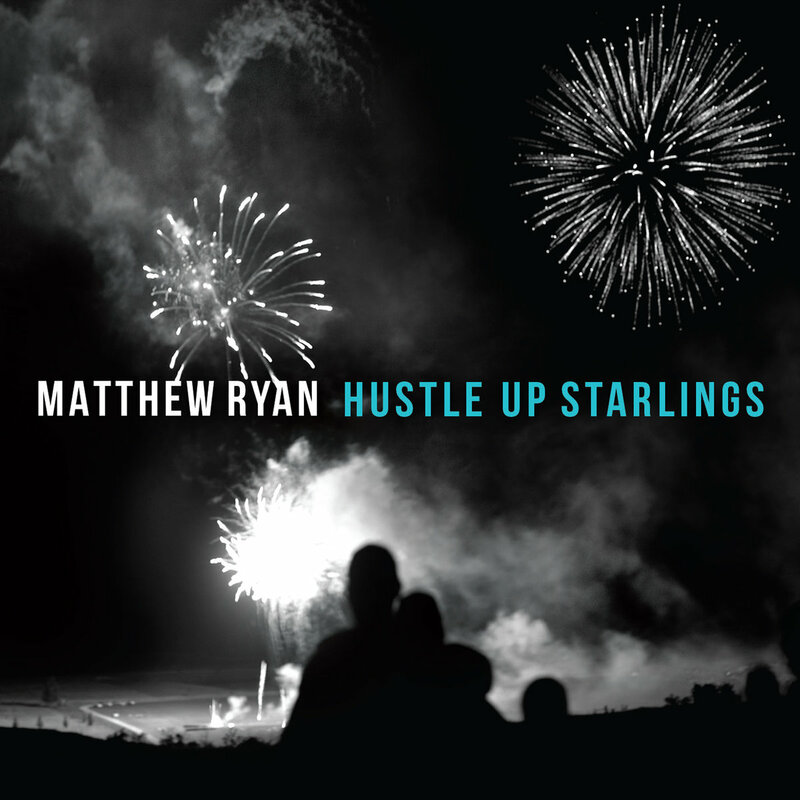 Matthew Ryan is well-known around these Popdose parts, so it’s no surprise that we leapt at the chance to introduce this track, “(I Just Died) Like an Aviator,” from his forthcoming album, Hustle Up Starlings, produced by Brian Fallon from The Gaslight Anthem. But seeing an opportunity to know more about the track, and it’s somewhat cryptic title, we allowed Ryan a chance to take the floor and explain its meaning. “(I Just Died) Like an Aviator is the opening song of my new album, Hustle Up Starlings. The title and theme of the song was inspired by a great live collection by Steve Earle and the Dukes called ‘Shut Up And Die Like An Aviator.’ When I first saw that title by Steve I didn’t know what it meant. But I could feel it in my bones, it felt like good advice. That’s one of the beauties of art, it often offers the wisdom we’re not necessarily born with. And as I’ve gotten older, that phrase has meant more and more to me. It’s amazing how over time an idea or information or events turn into a song. “You see, rejection and defeat and even worse, these are all parts of living. We are invited to go numb or retreat to various versions of the fetal position. I used to resent the punches I took. As if because of the past, I was owed something. No. We’re never really owed anything. What’s given, over and over again, is an opportunity to state our case, to stand by the courage of our convictions. “We are all Lazarus. In life we die a hundred times. Changes and challenges from within and outside offer scars, and provoke the wilds in perseverance. What we intuitively know when we’re young gets beaten and trained to expect and accept less than what the heart imagines possible. Our job is to not cower, to not ‘go gentle into that good night.’ This defiance applies to almost every engine we come to wrestle with over our lives. We’ve gotta stay hopeful and commit to our ‘nows’ always. Each fight that keeps us lit is the most important fight. “Rock ‘n roll is not dead. But it’s got a broken arm, a black eye, and a bad limp. There’s a great battle going on between the goals of slogans and the actual human heart. Entertainment (generally) only tells you the truth by accident, its goals are different than ours at birth. Art is irresistible, it’s an urge to dive into the maps and feel what feels true, it’s devoted to understanding the mysteries of our engines. Escapism is necessary, but so are dissertations on the spaces between dark and light. There’s too much of the former, we are what we eat. In moments of lust and freedom and love, or in the rage and consciousness of folk and rap, art is survival. Rock ‘n Roll isn’t just Rock ‘n Roll, it’s anything that means it. And in ‘Aviator’ I’m begging you not to quit, to keep going deeper. Keep doing it. Keep going. Stay vulnerable and optimistic. Don’t get entrenched in cynicism or measuring sticks or less than you imagine possible. Your first goal must never be to sell. They say ‘the truth will set you free’ for a reason. At the center of the great art is a humanitarian cause. And it’s there that we contribute to the immortal hope of the human heart, condition and culture: deliverance, freedom. “As listeners and lovers and creators, as humans, we have to insist on things that light us up with real fire, because it’s there that the great parts of ourselves are discovered and bloom. It’s there that our better futures get seeded, over and over again. No, ‘Aviator’ isn’t just about Rock ‘n Roll. It’s another lean through language and noise for some reverberation of Dylan Thomas, Raymond Carver, Susan B. Anthony, and Martin Luther King Jr. And thankfully, through the diverse talents and instincts of the gang I created it with, we committed to it with 3 minutes and 19 seconds of fire, in a recording studio, with all the love we’ve gathered and spent our entire lives trying to keep lit.